This is a sponsored post on behalf of Popchips. All opinions and thoughts are my own though. 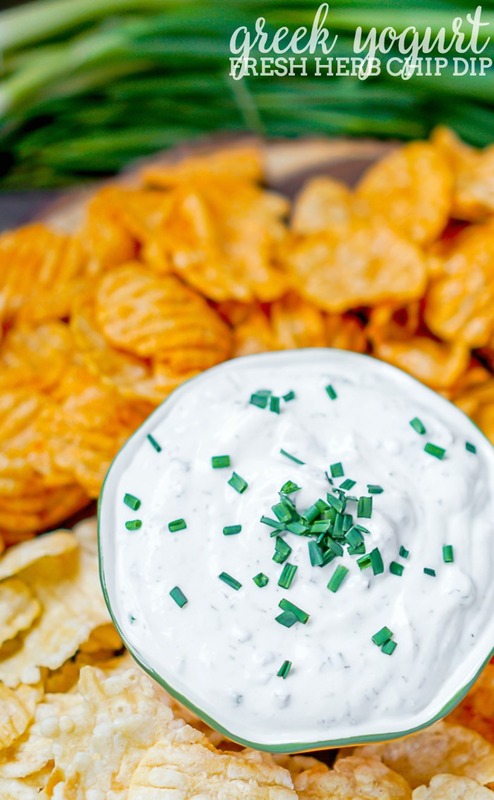 Greek Yogurt Fresh Herb Chip Dip makes party snacking easy and healthier, especially when you pair it with Pop Chips! 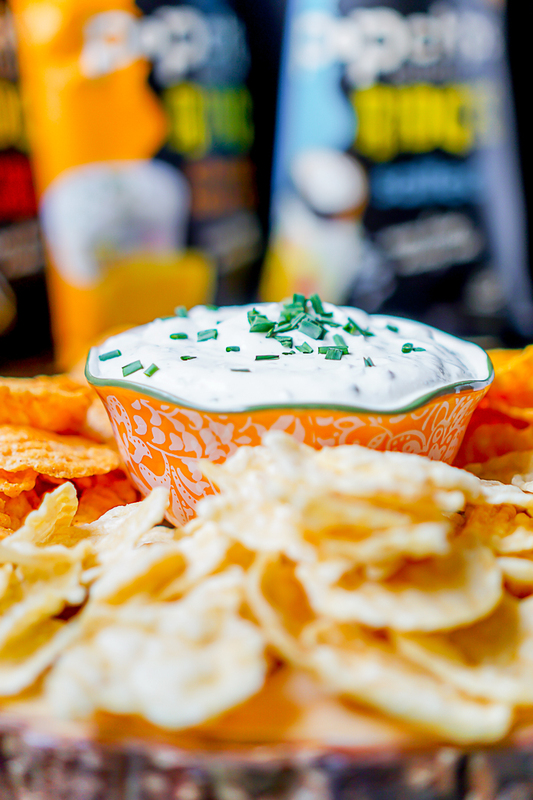 Make a Healthy Snacking Choice with Tasty Greek Yogurt Fresh Herb Chip Dip and Popchips! So often, Game Day Food means unhealthy. Now, I’m not against unhealthy per se – I love a good chicken wing recipe or cheesy dip recipe and definitely a tasty dessert dip. However, I’ve been trying to find more balance in terms of what I eat, especially being a few months post baby. 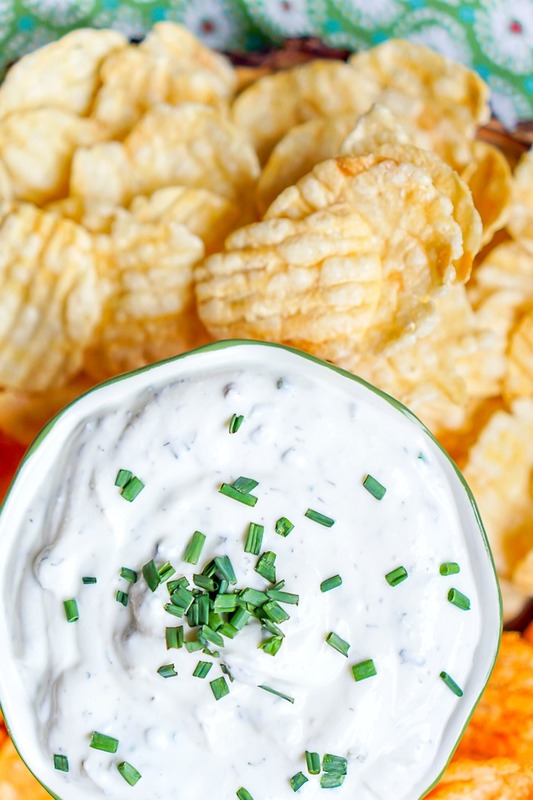 Finding healthier solutions without losing any of the flavor has become a new goal, and I definitely found it with this perfect Game Day Chip Dip Combo – Greek Yogurt Fresh Herb Chip Dip with Popchips! This Greek Yogurt Fresh Herb Chip Dip is creamy and full of flavor from all the fresh herbs and spices. I know you might read Greek Yogurt and think – “Nope. Not for me!” I am not a personal fan of plain Greek yogurt; you will never find me just eating it for breakfast. 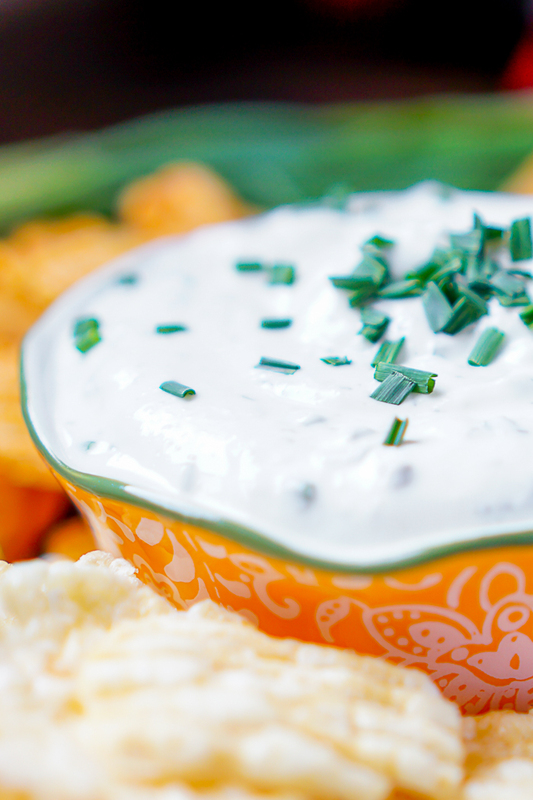 However, plain Greek Yogurt is perfect for cooking and dips like this in place of sour cream. Add some garlic, chives, green onions, and a few other spices and you have a tasty chip dip you want to scoop up over and over again! Pair it with Popchips to make it an even lighter snack! Popchips are gluten free and half the fat of fried chips. They aren’t baked or fried, but literally popped! You don’t have to miss out on flavor either: Sea Salt, Barbeque, Sour Cream & Onion, Crazy Hot Potato, Salt & Pepper, Sweet Potato and Sea Salt & Vinegar. Popchips are even more crunchy now as they recently released a new ridges line in 4 tasty varieties: Perfectly Salted, Cheddar and Sour Cream, Tangy BBQ, and Chili Cheese. The ridges gives them an extra crunch which is exactly what I want with a chip dip.